The goats are believed to be descendants of the surviving goats of the Spanish Armada ships wrecked in 1588. 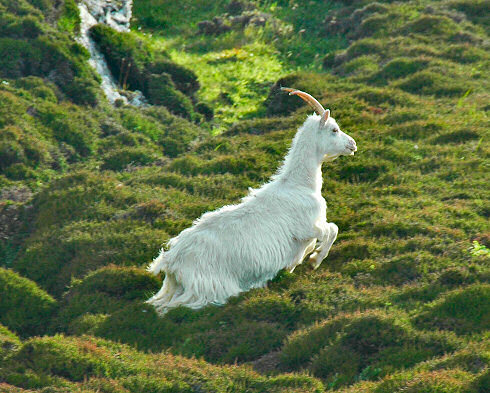 They live in various parts of Islay, among others on The Oa, near Sanaigmore and in the remote north of Islay. Sorry you can't see its ‘goatee’ very well, if you ask me nicely I might post another picture of it with it visible much better. With or without goatee, have a great weekend!